The Oklahoma Film + Music Office (OF+MO) strives to support and connect local, national and international filmmakers with Oklahoma’s skilled crew, talent, production services and diverse locations which span across 12 eco-regions. OF+MO also promotes and showcases Oklahoma’s rich musical heritage and connects emerging artists of all genres to music venues and businesses across the state. Our purpose is to grow the film and music industries statewide. 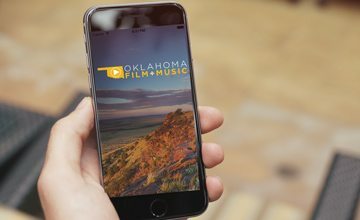 The Oklahoma Film + Music Office is a state agency that serves the mission of the Oklahoma Tourism and Recreation Department, which also includes Travel OK, Discover Oklahoma, Oklahoma Today and State Parks. The many accomplishments of the Tourism and Recreation Department would not be possible without the talented staff and the dedication of the governing body for the department, the Oklahoma Tourism and Recreation Commission. The nine-member group lends its expertise and guidance to assist the department in reaching goals and directives. Also, thanks to the Oklahoma legislature and Governor Mary Fallin for their continued support.